As a result of this initiative, Foreign Direct Investment in India has experienced an upward trend. Many new sectors have opened up, such as Defense, Railroad, and Space, spurring a change in regulatory policies to foster additional investment and ease of doing business. Sectors like Railways, Defense, Insurance, and Medical Devices have experienced a notable spike in not only foreign investment but in domestic investment as well. What does all of this mean for Portescap? Portescap manufactures brush DC motors, gearheads, encoders, BLDC motors, and stepper motors in our Mumbai facility. Portescap India is well-positioned to serve the country and contribute to the Make in India initiative. 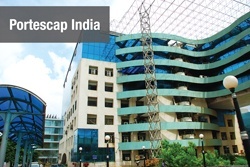 With Portescap’s R&D and applications team based in India, well-established and startup companies alike now have a unique opportunity to take advantage of Portescap’s excellent technology and expert engineering. Portescap brings exceptional products that deliver high power density in a small envelope for battery-driven applications that are lightweight to reduce operator fatigue and stabilized motion solutions for medical power tools. Portescap offers 80+ years of applications engineering expertise that is second to none. Write to us at sales.india@portescap.com and someone will get in touch with you soon.